Just spoke to our broker about @godaddy and he recommended we transfer to a DNS outside of the United States. 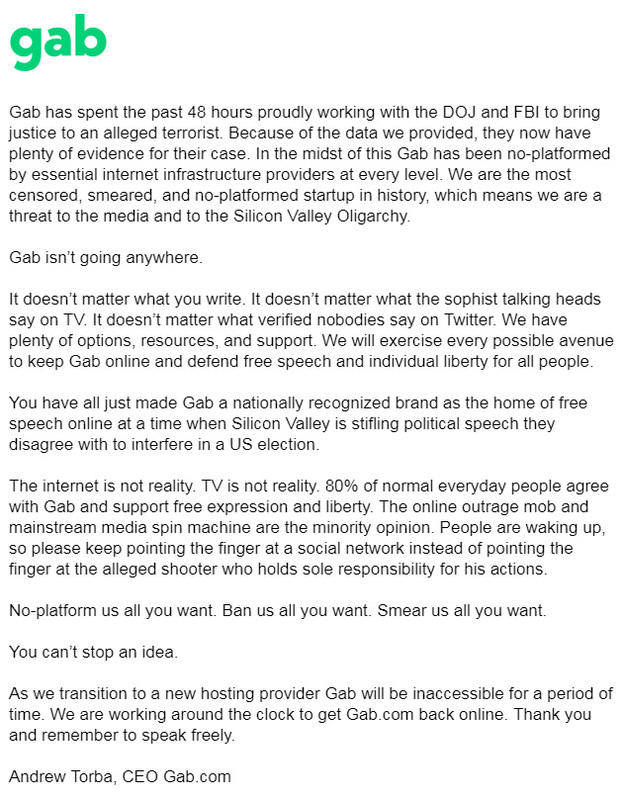 Welcome to 2018 where freedom of speech isn’t defended by US Corporations. 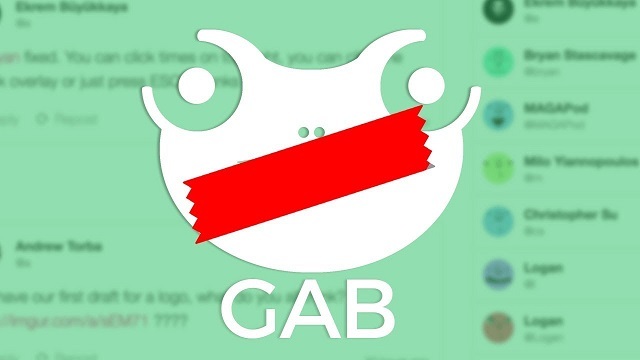 Attorney General John Shapiro told CBS Philly on Monday: "Were also going to be conducting independently a review of the social media platform Gab, used by this individual in Pittsburgh. We're going to do everything we can to support law enforcement and do our work as well to keep people safe." Hi @PAAttorneyGen have you ever heard of CDA 230? Here comes the character assassination attempts from the @washingtonpost. My friends and family are very loyal @emmersbrown. The anatomy of a mainstream media smear campaign and character assassination. The media is trying to get me killed. Hi @WNEP you should be absolutely ashamed of yourselves for broadcasting video footage of my parent’s home on your station. You are absolutely disgusting. May God have mercy on you. Will be praying for you tonight. The left's favorite line is to say "if you don't like their platforms build your own." That's exactly what Torba did and yet he's being blacklisted and banned from every service on the internet over the criminal actions of a user which he had no control over and is doing everything in his power to bring to justice.